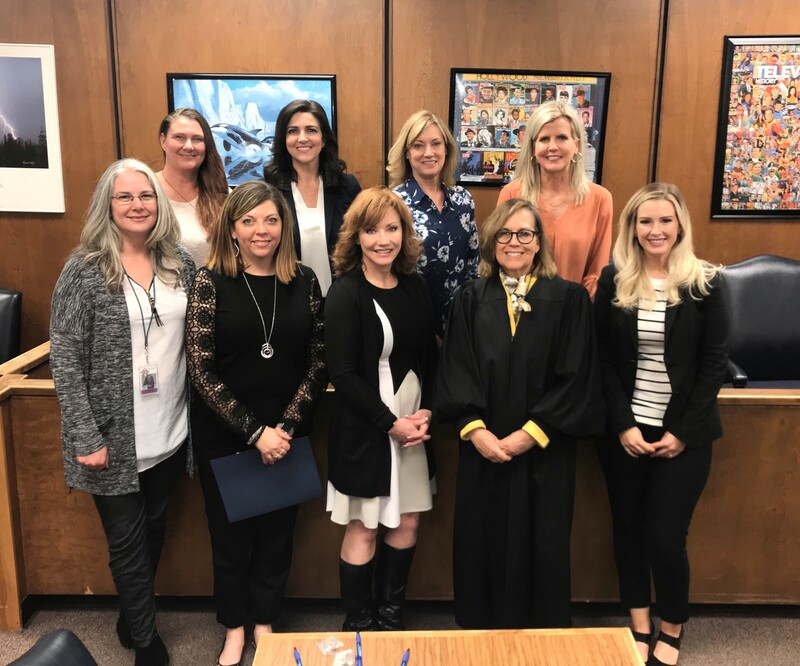 Court Appointed Special Advocates are specially trained volunteers who speak for the best interests of abused and neglected children in the court system. Last year 120 Tulsa CASA volunteers served 275 children on 144 cases, but there are still so many more children who need a CASA to speak up for them. WILL YOU BE THE VOICE FOR A CHILD IN NEED? 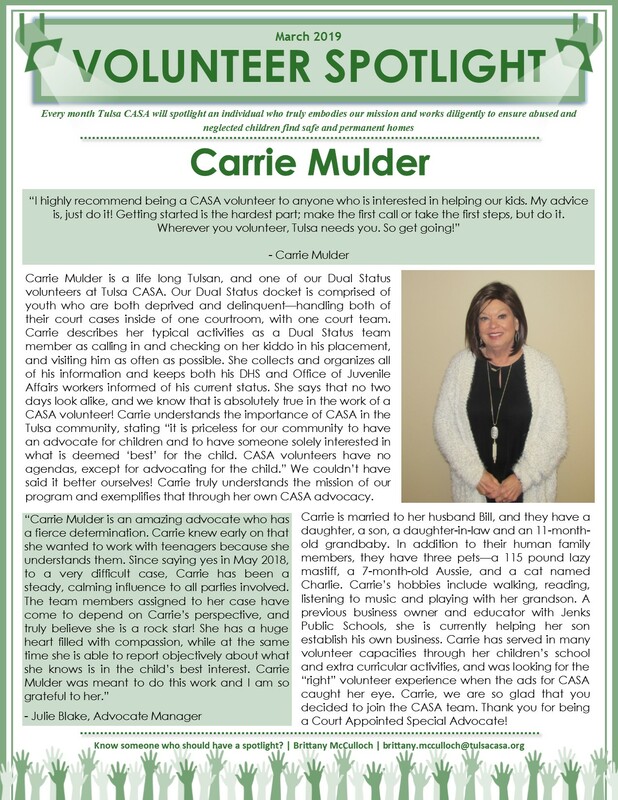 Carrie Mulder is one of our Dual Status CASAs, and one of our best! Our Dual Status docket is specific to youth who are both deprived and delinquent. Thank you for being dedicated to serving Tulsa area teens, Carrie! 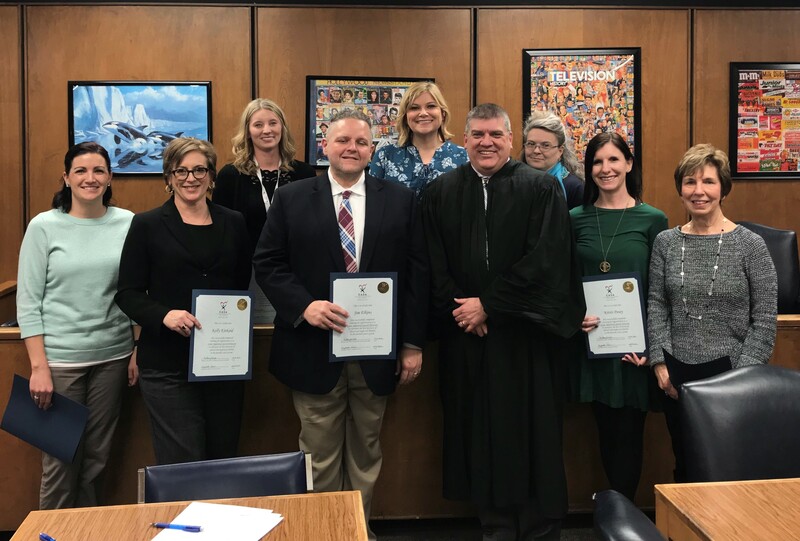 Congratulations to our new advocates! They completed the February training session and were sworn-in on Thursday — including our intern, Kelsey. Kelsey has been a big help with CASA Casino and other projects, and it’s a pleasure to have her in the office! Many thanks to everyone who came out last night and supported our organization at CASA Casino! It was a great event and we really sent the ‘Gatsby’ theme out with a bang. 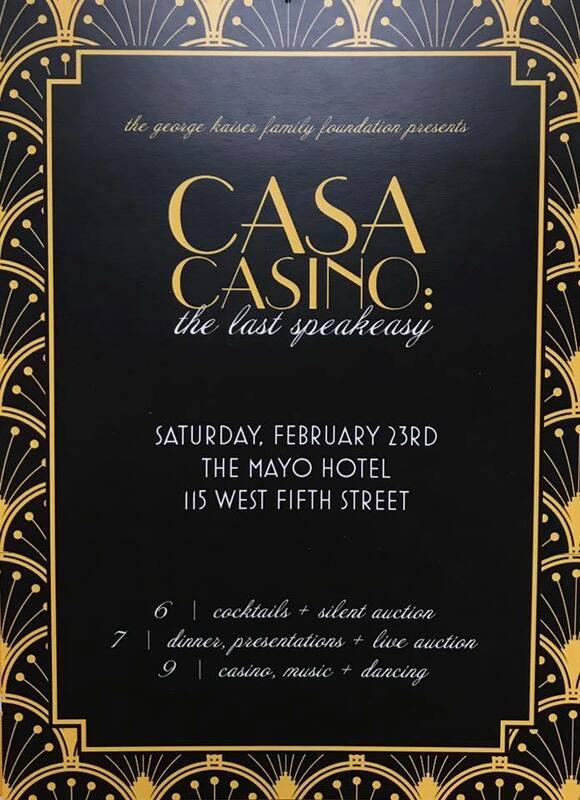 We are already looking forward to next year — CASA Casino: Shaken Not Stirred is sure to be a night to remember in 2020!